Set in the heart of the famous Three Valleys – one of the world’s largest ski areas – Méribel offers diverse terrain suitable for all levels of skier, outstanding ski schools, traditional restaurants and lively bars. With well-equipped sports centre and open countryside to explore, there’s plenty to do away from the slopes, too. For many people, though, the biggest draw to this pretty alpine resort is the impressive breadth of its luxury chalet offerings, and the chalet Pousse Caillou is a fine example. This traditional and elegant property sits across three spacious floors, with five beautifully finished en-suite bedrooms to accommodate 10 adults plus 4 youngsters in comfort. 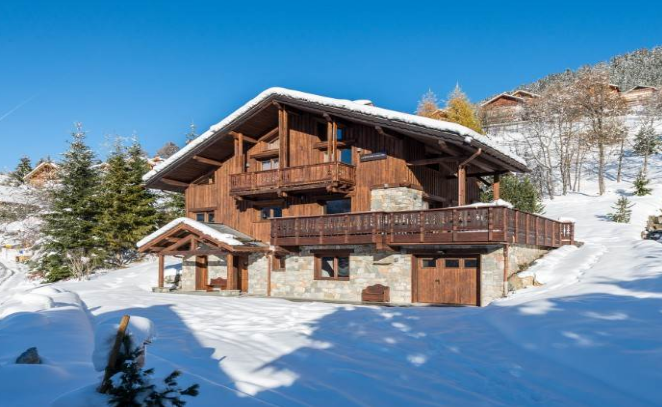 The property sits in the Mussillon neighbourhood of Méribel, within easy reach of resort centre, and the daily driver service makes ski access effortless. Inside the property, fixtures and fittings have been selected with a fine eye for detail. The traditional timber and stone construction that Méribel is known for is in full effect, with open, spacious rooms and comfortable furnishings. For gatherings of friends, it’s the perfect home from home in the Alps – and with two separate family suites, it’s perfect for groups with children, too. 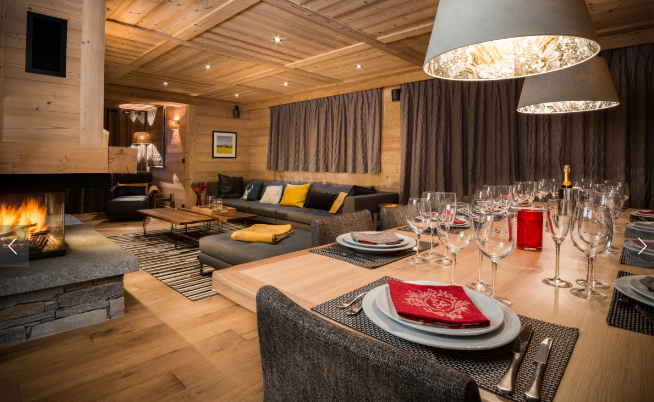 Facilities in the Pousse Caillou include outdoor terraced hot tub with spectacular valley views, TV / cinema room, and welcoming fireplace in the heart of the chalet. Staff on hand to ensure guests enjoy a relaxing stay include a chalet manager, professional chef and a host. For more details on this exceptional ski chalet, or for information on the other luxury ski chalets in our Méribel portfolio, call our helpful team today on 020 3080 0231 or reach us via our online chat service.